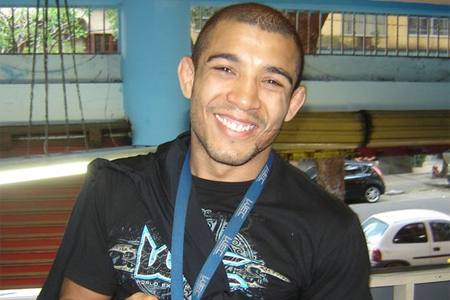 To the surprise of no one, champ Jose Aldo is favored to retain his featherweight crown when he meets Chad Mendes at UFC 142. However, unlike the lopsided lines Aldo has enjoyed in previous title defenses, he is only a -240 odds-on favorite to beat “Money” in Brazil. Mendes, on the other hand, checks in as nearly a 2-to-1 underdog in his first championship affair. Although the event is less than a month out, the Holidays have sent the Gambling Gods into vacation mode. No other wagering odds have been released for the show thus far. Rio de Janeiro’s HSBC Arena will host the January 14th fiesta. The 145-pound affair headlines the pay-per-view broadcast.